In the late summer of 1864, Confederate General Jubal Early marched his men up the Shenandoah Valley of Virginia, with Union General Philip Sheridan and his Army of the Shenandoah not far behind them. The concern for the Union Army was that if Early went unchecked, he had an easy path down the Potomac River using the nearby railroads to force his way into Washington, D.C. With the 1864 presidential election not far away, and political catastrophe for Lincoln if Early got close to Washington, Sheridan knew he had to stop him. One of the men in this Army, under Wright’s VI Corps, Getty’s Division, Wheaton’s Brigade, the 139th Pennsylvania Infantry and finally D Company, was my great grand uncle John Pepperney of Pittsburgh, Pennsylvania. John was born in Prussia on 15 January 1845 to Jacob and Anna Maria Krotterin Pepperney. He arrived in America around 1852 and his family settled in Reserve Township, Allegheny County, Pennsylvania. John was inducted into the Federal army on 1 September 1862 when he was 17 years old. The 139th Infantry was comprised of men from Allegheny County. Many of them were no doubt immigrants like John who either volunteered or were drafted to fight for their new country. After that, John and the 139th found themselves confronted by the enemy in battles we know well from history books. Antietam. Fredericksburg. Chancellorsville. Maryes Heights. Gettysburg. Wilderness. Spotsylvania. Cold Harbor. Petersburg. That John made his way through the hell of those battles unscathed is a miracle. That is, until he arrives near Winchester, Virginia on the evening of 18 September 1864. At 3 a.m. on 19 September, General Sheridan launched his attack on Early’s men from the north, pushing his leading forces back into Winchester. This early action by cavalry allowed Sheridan to organize his infantry forces marching from Berryville to the east. Company D of the 139th Infantry was square in the center of the VI Corps assault on the Confederate lines. To their right were no fewer than 13 Union brigades while to their left just General Daniel Bidwell’s brigade held the end of the line. With cannon fire shooting over their heads, the 139th Infantry advanced down the Berryville Road. They entered into Winchester as the Confederates pulled out, leading a retreat to Strasburg, 20 miles to the south. It was during this action that John was wounded. What caused this injury remains unclear, but the muster rolls of the 139th Infantry state he was injured on this date and at this place. Still, his injury was minor enough to keep him with the Army. John Pepperney would continue with the 139th Infantry through the remainder of the war and was mustered out of service on 21 June 1865. 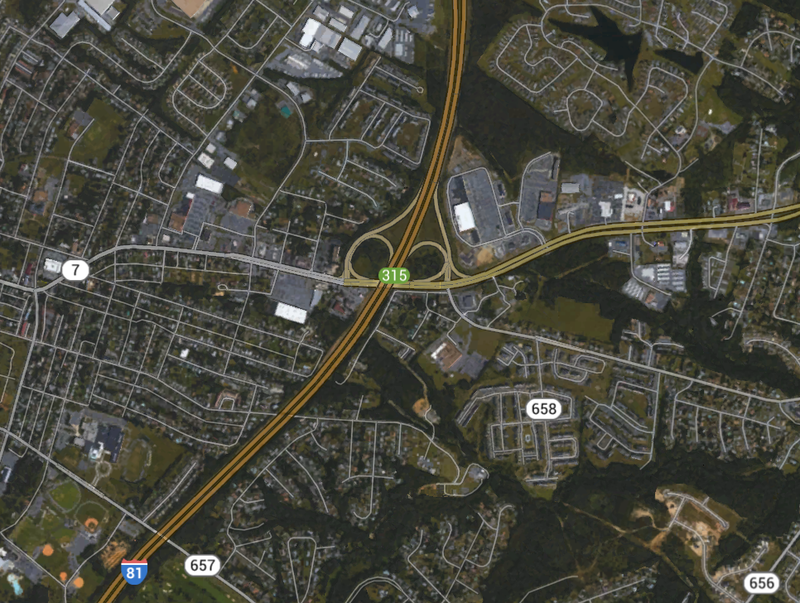 The interchange of Interstate 81 (north and south) and Route 7 (east and west) in Winchester, Virginia. It was just a few hundred feet to the south of the interchange where the 139th Pennsylvania advanced on the Confederate troops on 19 September 1864. The Third Battle of Winchester was the bloodiest battle in the Shenandoah Valley Campaign of 1864 and effectively pushed the Confederate army out of this part of Virginia. Bates, Samual. “History of Pennsylvania Volunteers, 1861-5; Prepared in Compliance with Acts of the Legislature, by Samuel P. Bates.” Making of America. University of Michigan, 1 Jan. 1869. Web. 23 Mar. 2015. “Pennsylvania Volunteers of the Civil War.” 139th Regiment of the Pennsylvania Civil War Volunteers. Web. 23 Mar. 2015. .
“Third Battle of Winchester.” Civil War Trust. Civil War Trust. Web. 23 Mar. 2015.